It doesn't end in the gym. Intensity for immensity - Sickness for Thickness - sizeBIGGER! 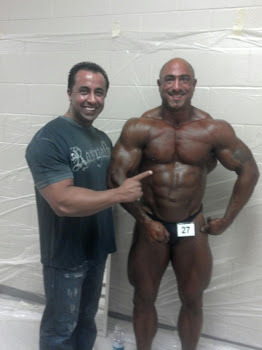 Here it is seven days out from the 2012 Jay Cutler Classic where my boy, my training partner Mr. Alex "Styling" Stylien will be competing in his 3rd competition. 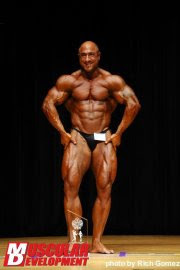 Last year Alex competed at the NPC New Hamphire where he won the light heavy weight class and a week later at the NPC New England, a national qualifying show, were he takes 3rd in light heavy weights, now that's a real nice first year! This time around, Alex brings a different package, he's bigger harder, fuller and with the same condition he brought to the stage last year. His chest and back have both come up and his legs are thicker then ever. Workouts are going real well, I really like the split we have going on right now. We just recently changed it to incorporate dead lifts back in again, to work the legs a second time for the week. So we broke it down like this, Monday is back and triceps. I like this combination, because after training Back my arms feel warmed up from all that stretching and pulling and really helps minimize elbow pain, plus I like having blood in my bicep, when I'm training triceps. Wednesday we dead lift and do shoulders and traps. (we train calves, forearms and abs every workout) Man, I got to tell you, after dead lifting and then training shoulder and traps, your whole body is pumped, I am really liking Wednesday's workouts. We start with regular dead lifts for 5 or 6 sets, then end with 3 sets of Sumo's and then 4 or 5 sets of legs curls and calves, before we hit shoulders and traps and forearms, the next few days I feel so thick. Friday is chest and biceps, tried and true, it's always a nice combination and Saturdays is legs the ultimate favorite day. Spray tanning booths… who would think? THis is HOw we Do IT! 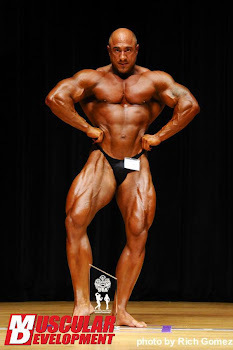 Become a Always A Bodybuilder's Fan - Get your "25 cent tip of the day"
Inkubator - 2011 Calendars are in! sizeBIGGER. Awesome Inc. theme. Powered by Blogger.